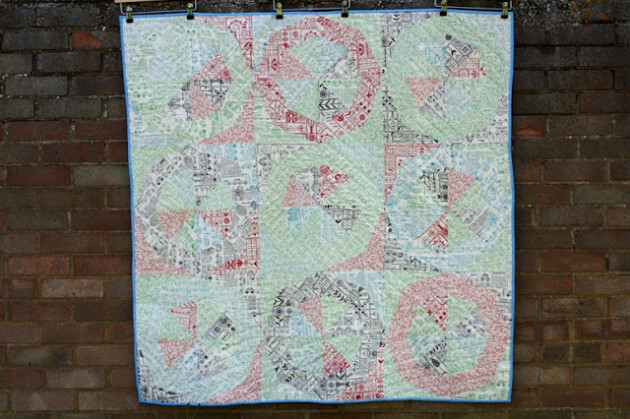 Believe it or not this quilt was started as part of the Spinning Stars Quilt Along. However, as I am a fully signed up member of the Slow-Quilt Movement (is there such a thing?) I never so much quilt 'along' as quilt 'a while after'. 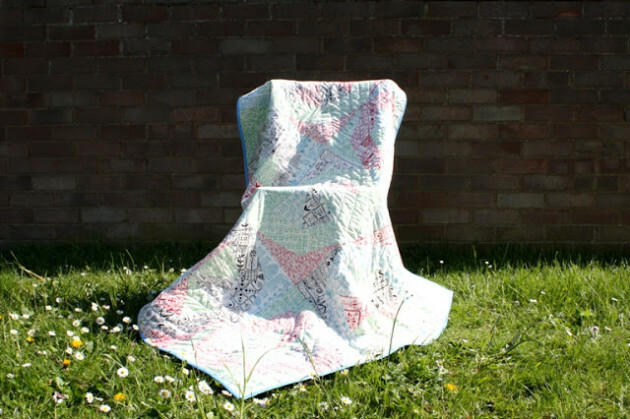 And then once the thing is 'slow-quilted' it then takes a while for it to be 'slow-blogged' (now that definitely is a thing). The pattern is an Anna Maria Horner one, you can find it here, and the fabric is Summersville by Lucie Summers for Moda. We still have a little yardage left here. It is in the SALE hurrah! I really, really enjoyed making this quilt. It is the first time that I have followed a quilt pattern and can highly recommend it. The pattern is really rather simple, but with a great finished look. 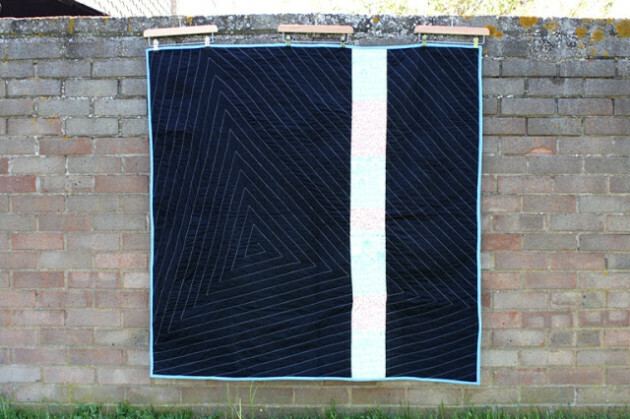 I backed the quilt in Black Klona, with an accent strip, and quilted using a sort of triangular spiral. 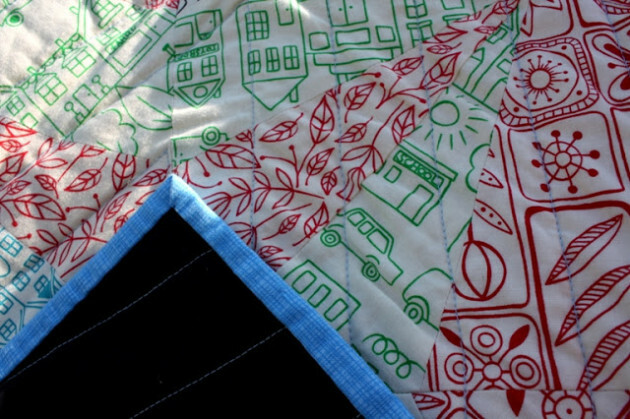 This quilting pattern was actually a total nightmare and I didn’t enjoy the process at all. It didn’t help that the black shows up every error. Black is not a very practical colour either as it shows up every smudge of peanut butter, fluff and toothpaste (peanut butter, fluff and toothpaste is basically what covers my childrens faces most of the time). Bound in Pool Sketch. I love the sketchy binding... in fact I love Sketch so much that I have just expanded the range of colours that I stock in the shop. 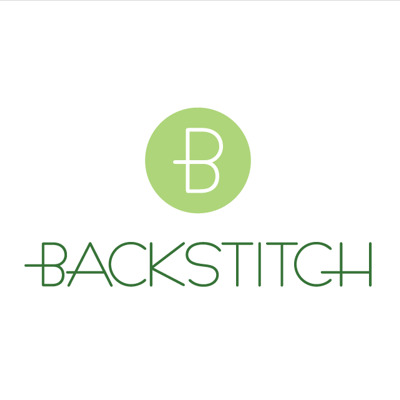 Backstitch now holds 23... the best 23 of course. This quilt was always destined for our sofa, and actually it has been on the sofa un-photographed for a couple of months already. We have always had both a knitted blanket and a quilt for snuggling under on the sofa but both are a bit worse for wear. The quilt had lost its wadding from being washed too vigorously, and the blanket has a big hole in it. This hole is ever expanding as my boys put have a habit of putting their heads through it and then tearing around like lunatics. I am also knitting a blanket to replace this one and if you follow me on Instagram you will already be familiar with this ‘kilom-a-blanket’. The holey blanket will remain for now but am very happy to have this Summersville Spinning Stars in full action.